If you sign up for e-mail or text alerts, we will be sending messages regarding road closures, weather alerts, etc. through the Press Release page. Please be sure, if you are interested in receiving these messages, you keep the box checked. Those same messages will appear on the Press Release page as well as this one. 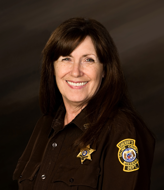 Our office can be contacted through e-mail, which is checked frequently, at scso@salinecountysheriff.com. Those e-mails are then directed to specific division commanders or the Sheriff.